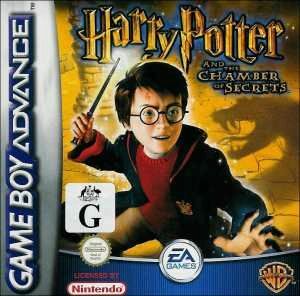 Welcome back to Hogwarts as Electronic Arts present for your gaming pleasure, Harry Potter and the Chamber of Secrets! Following the adventures of both the book and movie of the same name, the young wizard Harry is warned not to return to Hogwarts School of Magic or else suffer dire consequences. However when the Weasley boys pick him up to take him for break from the Muggles (non magical people), Harry is ready to go back for his second year of schooling. The story for the game is told in a series of cutscenes followed by action. The transitions between game modes is fairly non intrusive and genuinely adds value to the in game play. The control setup for this title is excellent and Harry is very easy to control as you put him through his paces. Non player characters are scattered throughout the game with all sorts of useful advice for Harry in order to solve puzzles and find treasure. As you can see from the screenshots, the level of detail in this game is staggering and would be one of the most detailed games I have seen in some time on the GameBoy Advance. To start with, Harry has his trusty Flippendo spell that will take care of most smaller foes and by holding down the attack button he can charge Flippendo to be even more powerful before releasing it. 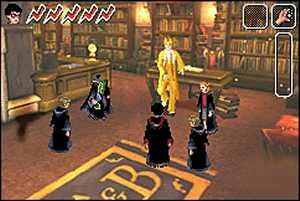 By defeating various enemies or uncovering secrets, Harry can add more spells to his arsenal. As always there is the game of Quidditch to play and the setup for this is extremely fun to follow. The developer, Eurocom Entertainment have endeavoured to see that this title is very easy for anyone to pick up and play almost immediately. There is a learning curve of about 10 minutes to get used to the controls. 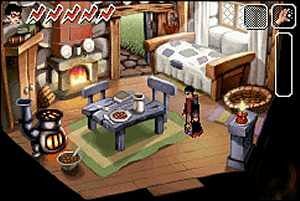 Animations throughout the game are very fluid, improving upon even the first Potter game on GBA, as good as it was. Harry has a variety of animation and all are rendered very smoothly. Audio is also very good, albeit a tad tinny with some of the effects coming through the Advance's small speaker. Another nice touch to this title is the link up feature with the GameCube for owners of both systems. 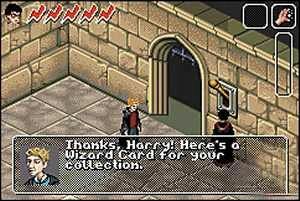 You will need Harry Potter and the Chamber of Secrets for Cube to take advantage of this, but once linked you will be able to unlock a secret area on the GameBoy Advance version of the game. I thought this was a great touch and well worth exploring. The only fault I found was that some of the screens were a bit dark, but this was more of a fault of the GameBoy Advance screen rather than the game, so I do recommend using a good light source when playing the game. This title is a worthy continuation of the Harry Potter series, give it a shot!